NISSAN PATHFINDER R51. NISSAN XTERRA N50. NISSAN NAVARA D40. Ventilatore di aria cabina motore ventilatore soffiatore per VW T5 Multivan transporter nuoviEUR 59,49. 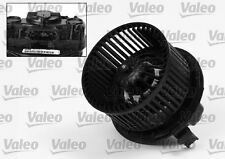 Motore di ventilatore per VW TOUAREG 7 L Amarok, AUDI Q7, Porsche Cayenne nuovoEUR 49,99. Soffiatore Ventilatore di Aria Cabina Motore x Nissan Navara Armada Titan. ELISA ARMADA. Nissan Navara D40. INFINITI QX 56. Nissan Titan. Ventilatore di aria cabina motore ventilatore soffiatore per VW T5 Multivan transporter nuoviEUR 59,49. Soffiatore Ventilatore di Aria Cabina Motore per Nissan Pathfinder R51. NISSAN PATHFINDER R51. Nissan Navara D40. Ventilatore di aria cabina motore ventilatore soffiatore per VW T5 Multivan transporter nuoviEUR 59,49. ECU Engine (263). Ending Soon. New Arrivals. Auto: NISSAN. Nissan X-Trail T30 2.2 di 4x4. Nissan X-Trail T30 2.2 dCi. Nissan X-Trail T30 2.2 dCi 4x4. Nissan X-Trail T30 2.0 4x4. Nissan X-Trail T30 2.5 4x4. Nissan X-Trail T30 2. CAMPIONE DEL PRODOTTO. Nissan Navara 1998-2008. Heater Resistor. All of our products are sourced directly from our range of approved factories. All of our parts are subject to quality testing and are ISO TS16949 certified, we also search to make sure that our approved manufacturers use the latest technologies and materials available. Marke: Hajus. 1 x Elektromotor für Innenraumlüfter. Anschluss: 2 -polig. Technische Daten. Brauchen Sie Hilfe?. Nissan X-Trail (T30) 2.0 1998 103 140 2001/07-2013/01 3144-087, 3144-ABC. Nissan X-Trail (T30) 2.0 1998 110 150 2001/09-2013/01. NISSAN MICRA Mk3/K12 2003-2010. NISSAN MICRA Mk3/C C 2005-2010. NEW BLOWER FAN MOTOR HEATER RESISTOR. NISSAN NOTE 2006-2012. NISSAN CUBE 2008-2016. NISSAN NV200 2010-ongoing. Numéro de pièce fabricant Non applicable. _gsrx_vers_841 (GS 7.0.16 (841)). Per ulteriori informazioni non esitate a contattarci Rif: 282500-9000. Vendiamo solo pezzi di ricambio usati. i nostri prodotti. WE WILL DO OUR BEST TO RESOLVE THE ISSUE. WHEN WILL MY ITEM ARRIVE?. GLASS AND BODY PANELS. Make sure you are buying the correct item as it is your responsibility to make sure the part you are buying will fit your vehicle. Part number: 687604EA0A. We are Breaking a 2017 Nissan Qashqai N-Vision Dig-t J11 MK2 (Facelift). Screws, nuts and bolts are also classed as a free gift if included. 1.2L (1197cc) Petrol 113 Bhp 5 Door Compact SUV 6 Speed Manual RHD Air Con: Yes. Ventilateur Moteur Chauffage. Convient aux Nissan X-Trail T-30 de 2001 à 2007. Motore 1.6 16V 73KW. Parti del corpo. Questo è in parte usati sempre il caso. Per questo motivo essi sono indicati con la parola "usato" - che utilizza sempre, stata costruita. Note sulle parti utilizzate. Renault Maxity 2006-2013. Nissan Cabstar F24 2006-2013. NEW BLOWER FAN MOTOR HEATER RESISTOR. Ref: B24019. 2005 - 2012 Nissan Pathfinder 2.5 DCI R51 Heater Box Complete Assembly. We willALWAYS resolve your issue but would ask that you call us in order to do so. We also boast an extensive used car parts centre. If your heater fan don't work or work only in one speed or you can't switch off. NISSAN X -TRAIL. 12 months warranty. Nissan Silvia S15 SR20DE Air Con Hose Left over from an old project. Please check before buying as I believe there are different types. NISSAN PRIMASTAR 2001-2014. 2 Front Stabiliser Link Bars. You are purchasing 1 Left & 1 Right hand side steel front lower wishbone arms, 2 Front stabiliser link bars. 2 Front Steel Lower Suspension Wishbone Arms Left & Right. Der Skizze vergleichen. Kupplung / Getriebe. Wichtige Informationen. Per Nissan X-Trail T30 2.0 2.2.5 2001-07 27200-9H 600 nuovo riscaldatore ventilatore motore ventilatore. se il tuo Nissan X-Trail T30 ha problema con il motore della ventola, questa è la parte destra che è necessario sostituire. [Actual product(s) condition may vary due to being a used part. ]]>. 2W6003 / 27225-8H31C / 277W100A. Car : Nissan. Nissan X-Trial T30 SUV [2001-2007] 2.0 / 2.2 4x4 / 2.2 Di 4x4. Nissan X-Trial T30 SUV [2012-2015] 2.5 4x4. Nissan X Trail t30. È molto costoso di possedere un auto in Giappone. Così, una vettura di 10 anni in Giappone potrebbe ha 30.000 miles sul motore rispetto a 150.000 miglia il motore britannico. Ha senso solo perché uno può viaggiare da Osaka a Tokyo per solo £100 in treno proiettile senza problemi di parcheggio e spesa sul carburante. 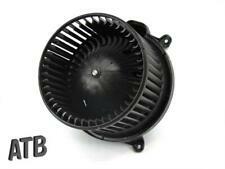 Motore ventilatore - Nissan X-Trail T30, 272258H31C Maxima A32 A33. Nissan MAXIMA/MAXIMA QX V A33 2.0 V6 24V 2000/03-2003/11. Nissan MAXIMA/MAXIMA QX V A33 3.0 V6 24V 2000/03-2003/11. Nissan X-Trail T30 2.0 2001/07-2013/01. Engine Size as All Car parts are off a UK Right hand Drive Car. I HAVE NO PART IN THIS NOR DO I KNOW THE PRICES. most sourced parts elv 53537a., PA60-78, PH17-26, PH30-44, ZE, BT, IM, TR21-25. (By Karlmann. NISSAN PRIMASTAR 2001-2014. Front Steel Lower Suspension Wishbone Arm Left. You are purchasing 1 Left hand side steel front lower wishbone arm. Already fitted within the arm ). All international parcels will be boxed and very well secured. NISSAN PRIMASTAR 2001-2014. 2 Front Anti Roll Bar D Bushes. 2 Front stabiliser link bars, 2 anti roll bar d bushes. 2 Front Steel Lower Suspension Wishbone Arms Left & Right. You are purchasing 1 Left & 1 Right hand side steel front lower wishbone arms . For Sale is a 2014 NISSAN QASHQAI 1461cc Diesel Heater Motor Blower Fan Assembly. 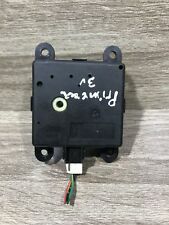 Part Number: 272264EM0A. Removed from a 2014 NISSAN QASHQAI 5 Door Hatchback with Air Con. Please see the item description for more information, you will receive everything you see in the images. NISSAN R33 SKYLINE MODELS. AIR CON RAD FAN BLADE. 2011 Nissan X-Trail 2008 To 2014 Acenta 2.0 Unknown Manual Diesel 5 Door 4x4 Heater Blower Motor All of our mechanical and electrical parts come with a 3 month warranty as standard, this covers the part itself but does not cover any labour charges incurred from fitment or removal of the item. (Terms and Conditions Apply). For extra peace of mind, extended warranties are available upon request at an additional charge. For more information please message us. Please be aware that all our items are removed from right hand drive vehicles unless otherwise stated. If you are unsure if this item will fit your vehicle or if you have any other questions then please call our parts department who will be happy to help. If you have any problems at all then please message us through eBay and we will happily help to resolve any issues. Nissan Skyline R32 motore soffiante. Tutti Nissan Skyline R32 Coupé e berline (porta 2 e 4) costruito pre-agosto 1991. Parte di Nissan genuina! Interchange Part Number 2722091L00. Warranty No Warranty. 431719 - MOTOR CALEFACCION NISSAN NAVARA PICK-UP (D40M) King Cab SE 4X4 | 07.07 - 12.10. King Cab SE 4X4. Motor 2,5 Ltr. - 126 kW dCi Diesel CAT. Do you want us to assure you that this piece corresponds to your vehicle?. Rérérence :272009h600- 3J11034300 - 272258H31C. NISSAN X-TRAIL T30 de 2001 a 2007. Nissan: 27225-8H31C, 272258H31C. Nissan: 27225-8H90B, 272258H90B. Nissan: 27225-95F0A, 2725595F0A. Nissan: 27225-9H60B, 272259H60B.